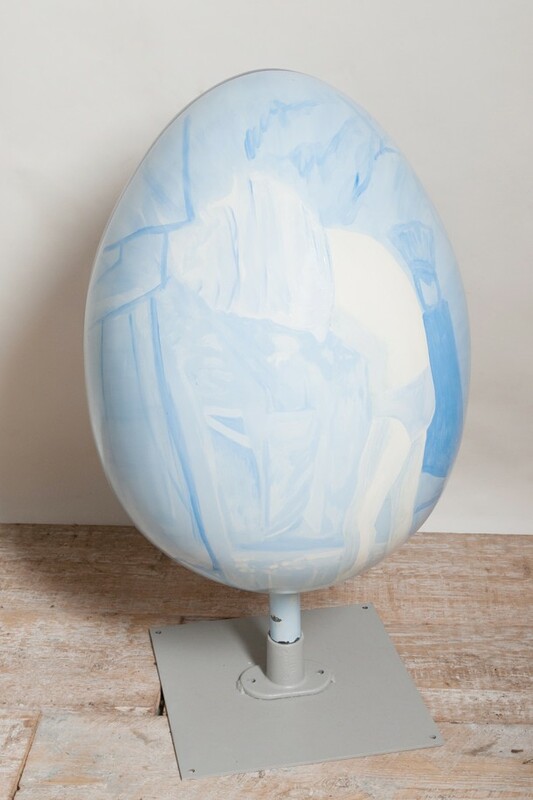 This amazing privately commission one of a kind giant egg was painted by Cecily Tattersall, titled Middle Man. Cecily has transported a section of Piero della Francescas The Baptism of Christ, 1448-50, a holy sacrament which symbolises re-birth, onto her egg. The figure is preparing for baptism by removing his shirt. This act keys into the idea of shedding the old life, revealing new skin, new life. Cecily Tattersall is a British artist based in London. 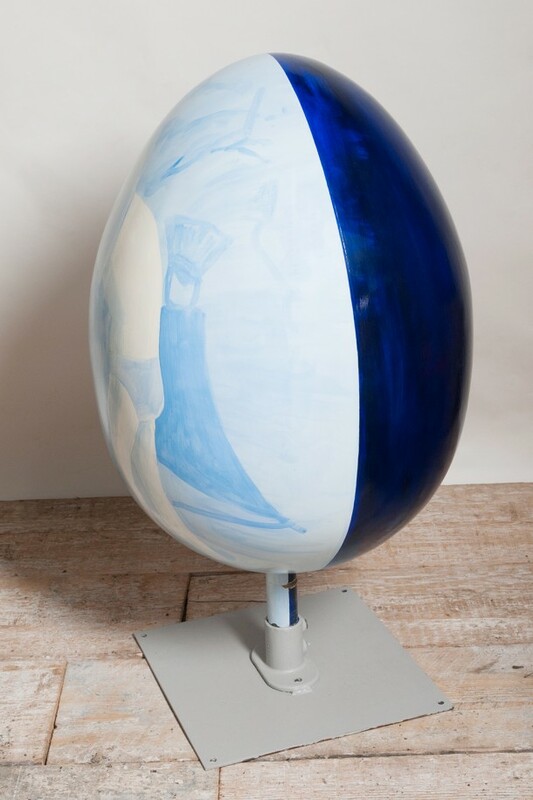 Her work was exhibited in Richard Demarco’s collection at the launch of ‘ Summerhall’, Edinburgh International Festival 2012, alongside an artist-in-resident position at the Leith School of Art. 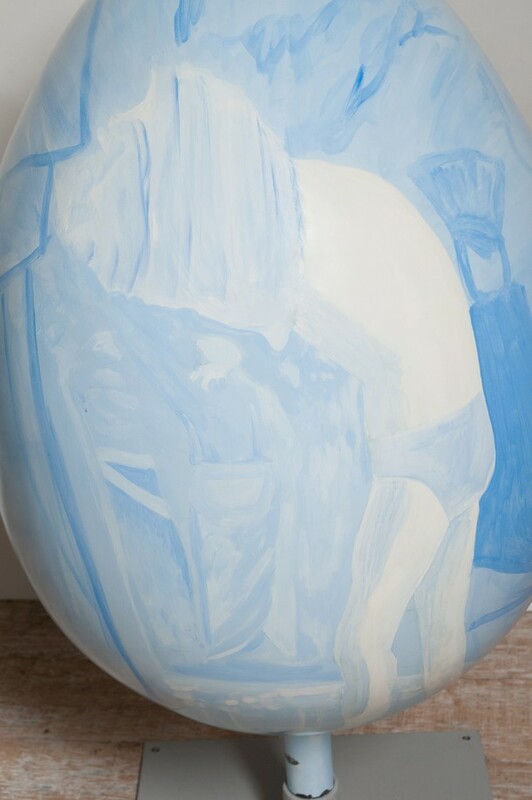 Cecily has now resumed her practice in the final year of an MFA at the Slade School of Fine Art.